As we age, we all need to adapt the way we dress, how we cut and style our hair and, similarly, how we apply our makeup. Our faces change from their youthful, full, rounded shapes, to forms that are a little less full and bright. In this lesson, I show you how to complete a beautiful, simple, and natural look using your favourite pieces of makeup, as well as others from my vast kit of products. We’ll discover which colours work best to enhance your face, and cover how best to handle your skin, eyes, brows, cheeks and lips. Bring along the makeup you already have, no matter how much or little of it there is, and we’ll get to work together. I’ll advise you on how to fill in whatever is missing from your makeup bag without spending a fortune on expensive brands. At the end of your lesson, you’ll go home with my Suzymakeup Face Chart filled out with full details of your bespoke colours and products. If you would like a hairstyle consultation to explore what kind of style might best enhance your face shape, we can be add this to your lesson. 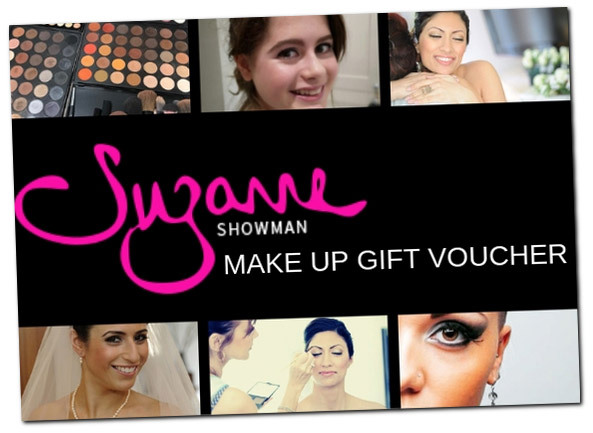 If you’d like to buy a Makeup Lesson With a Difference for a friend or relative, get in touch and ask about a Suzymakeup Gift Voucher.